CENTRAL EXERCISE & FITNESS-GYM EQUIPMENT STORAGE HOLD BALLS MEDICINE BALL RACK. 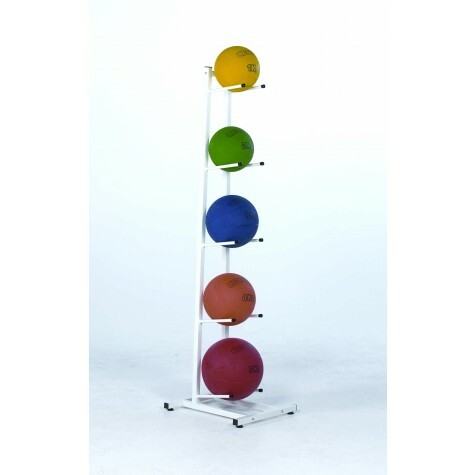 Central medicine ball racks holds up to 5 medicine balls and are an excellent value holder for your sports equipment. These medicine ball stands are made from 2.5 cm square steel section and some assembly is required. Stand dimensions: 148cm height x 38cm width x 39cm depth.